This beautiful home was custom built by the seller and is now ready for the next generation! Four bedrooms, three bathrooms and generous spaces both inside and out. The features this home offers are numerous and include: plantation shutters throughout, hardwood floors, gas fireplace, ceiling fans, built in bookshelves in the office and family room, a Murphy bed bedroom, a huge covered and lite back patio, custom pantry and washer/dryer are included. All the mechanical systems are 0 to 6 years old and the roof is just 3 years old and has the "leaf guard gutter system. 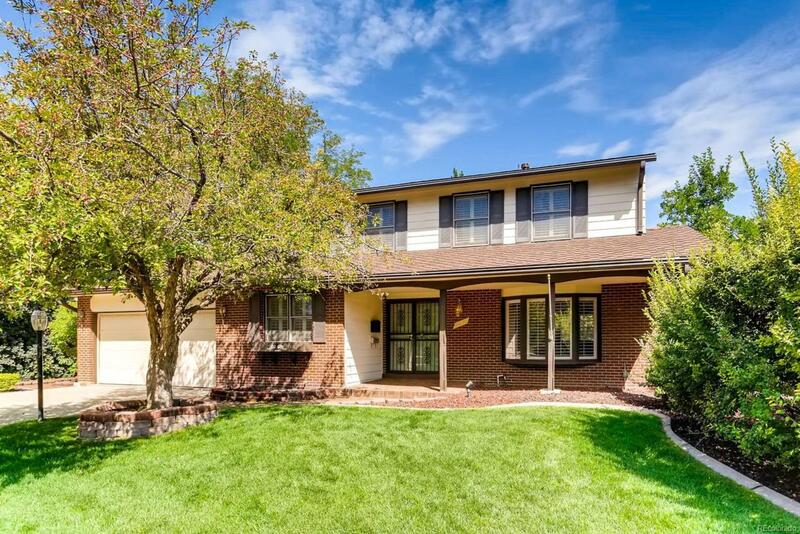 The wonderful Wellshire East location is removed from heavy traffic, close to parks and recreation and provides easy access to downtown, DTC, Cherry Creek, Anschutz Medical Campus or DIA.